The ten sonatas for violin and piano form a wonderful group. The first three, published in 1798 as op. 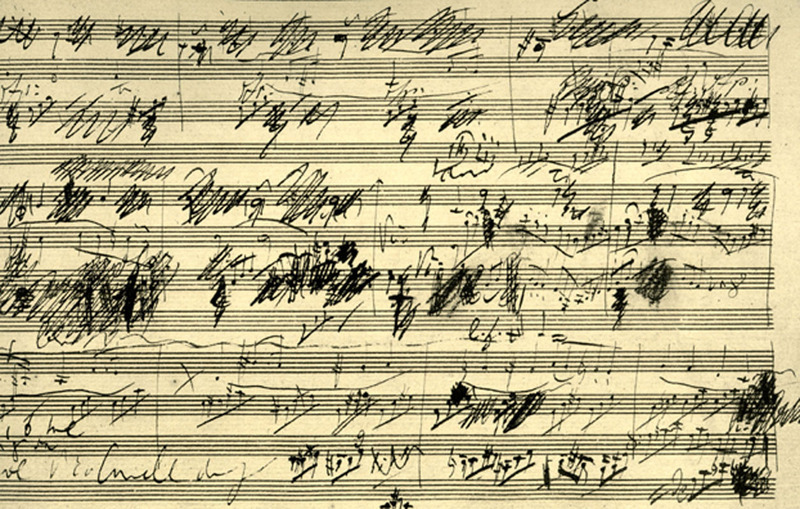 12, are brilliant examples of Beethoven's first maturity. The next six show the full range of the composer's middle period, from the dramatic world of the Fifth Symphony (C minor sonata, op 30 no 2 and the Kreutzer, opus 47), to the sunny, humorous one of the Pastoral (Spring sonata, A major op. 30 no. 3). And the last Sonata op. 96, is an example of Beethoven's late style, with its concentrated expression and original forms-not as radical as the late quartets, but filled with the same radiance. A beauty unparalleled! performers! There are still many more harpsichordists than fortepiano players, and, among "period" performers on the violin, most specialize in the Baroque period; few venture beyond Mozart. Elizabeth Wallfisch and David Breitman have been exploring the classical repertoire together since 2003, performing sonatas by Mozart and Beethoven, as well as trios by Beethoven, Schubert and Mendelssohn with cellist Jaap ter Linden. The special rapport that they share, as well as their love for this literature has inspired them to seek out performance opportunities throughout the world, culminating in a plan to record the complete set. Historical instruments, and the historical playing techniques that go with them, shed new light on these masterpieces. Beethoven called them "Sonatas for Piano with Violin," not, as they can seem in a conventional violin recital, violin solos with piano accompaniment. Paradoxically, the much larger sound of the modern piano tends to recede behind the violin, while the smaller but brighter sound of the fortepiano encourages a more equal partnership. The violin-especially when vibrato is used sparingly-can easily weave in and out of the texture, shifting quickly between a soloistic and accompanimental role. Beethoven exploring the limits of the five•octave piano, just as builders such as Walter and Streicher were expanding the compass and dynamic range of their instruments. The last sonata, op. 96, is from Beethoven's last creative period and makes use of the extended range available at that time. Beethoven's Fourth Concerto on both historical (Tuscaloosa, Alabama) and modern pianos (Carmel, California); as well as sonatas and trios at Hatchlands (Surrey, UK), home of the renowned Cobbe Collection of historical instruments. His collaboration with baritone Sanford Sylvan spans more than thirty years, with several hundred recitals and four CD's, ranging from Schubert's Die schöne Müllerin, to the premiere recording of The Glass Hammer, a major song cycle by the Cuban•American composer Jorge Martin. Their other recordings, "Beloved that Pilgrimage" (three 20th century song cycles), and an all Fauré disc were both nominated for Grammy awards. In a collaboration of a different sort, Breitman is one of seven fortepianists who share a complete Beethoven piano sonata cycle. The team has presented the series in New York City, Florence, and Palermo and the 10 CD set on CLAVES has been extraordinarily well received. Another fruitful partnership has been with Jean François Rivest; their critically acclaimed 4 disc Mozart violin sonata cycle is available on the Analekta label. Now that Mr. Rivest has devoted himself full-time to conducting, David is delighted to continue his exploration of the violin/piano repertoire with Elizabeth. A Montreal native, Mr. Breitman now teaches at the Oberlin Conservatory in Ohio, where he directs the Historical Performance program. While on sabbatical in 2009-2010, he co-taught a graduate seminar at l'Université de Montréal exploring the use of historical keyboard instruments as a research tool for advanced pianists, and served as a visiting lecturer in Performance Practice at the New Zealand School of Music in Wellington.